ibis Styles Kortrijk is located 10 minutes from the historical City Centre of Kortrijk and the Expo convention center is just a 5-minute walk. Put down your bags and unwind at ibis Styles Kortrijk Expo. The hotel is located near the Kortrijk XPO in the quiet and green business area Kennedy park. The hotel is easily accessible with public transport or car and has a large parking area. After a good nights sleep, a rich breakfast buffet is served for a great start of your day. At the bar you can meet with business partners or a relaxed drink with family or friends. For all your meetings, meeting rooms are available. 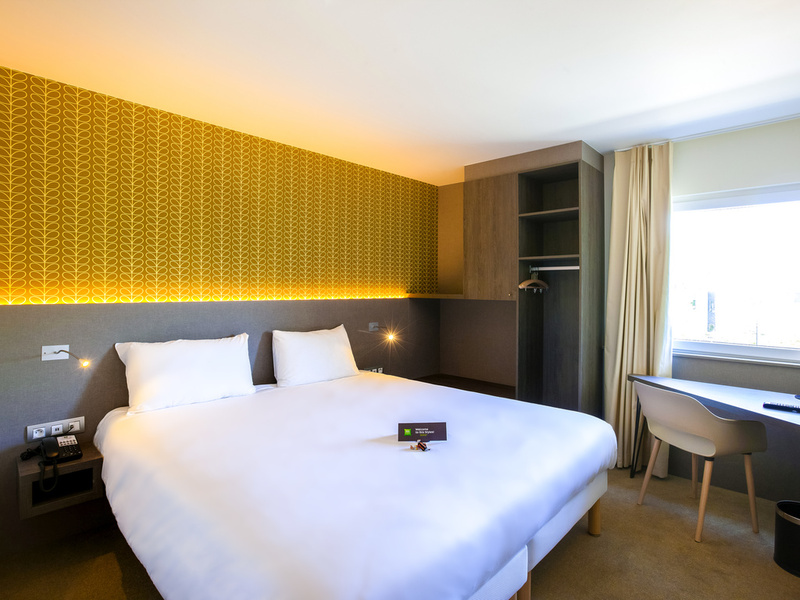 Ibis Styles Kortrijk Expo is situated near the E7 exit, 300 meters from Kortrijk Xpo and about 2 kilometres from the city centre. Lille is only 15 minutes away and it takes 30 minutes to get to Bruges and Ypres. 32 standard double rooms and 16 standard twin rooms, all ensuite with a shower, and a flat screen TV. 24 Superior double rooms and 8 Superior Twin rooms, all ensuite with a shower and 4 Junior Suites, all ensuite with bath and shower, safe, coffee facilities, balcony and air conditioning. Our Vision Restaurant is a cosy and trendy restaurant with an open fire in the winter and a sunny terrace in the summer. Our bar has an open fire in the winter. Our guests can choose from a large drinks menu. Utmärkt hotell. Välutrustat rum, vänlig personal. Synd att det inte finns en riktig restaurang. Frukosten utmärkt.